Fantastic Feathers ! 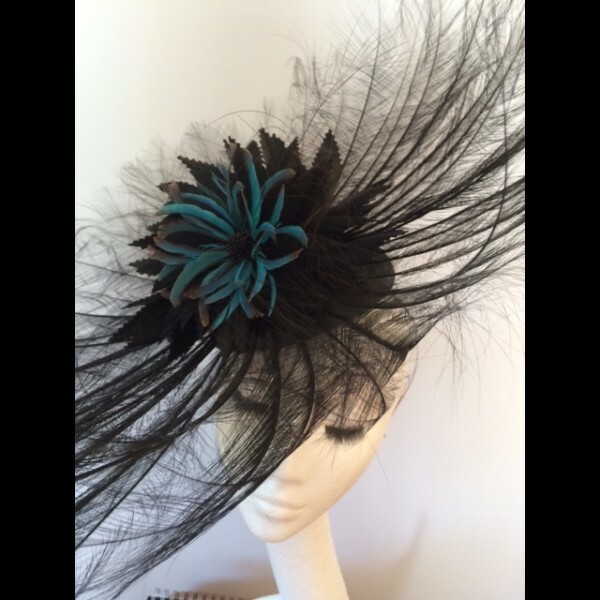 A small round sinamay base with a circular array of Black Burnt Ostrich feathers, nestling in the middle is a stunning black and blue feather flower. A striking piece available to hire and for collection only from the studio in Maidenhead - sorry this one cannot be posted. 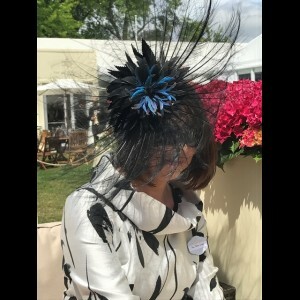 Perfect for Royal Ascot or a Ladies Day, this very feathery headpiece will certainly attract attention ! 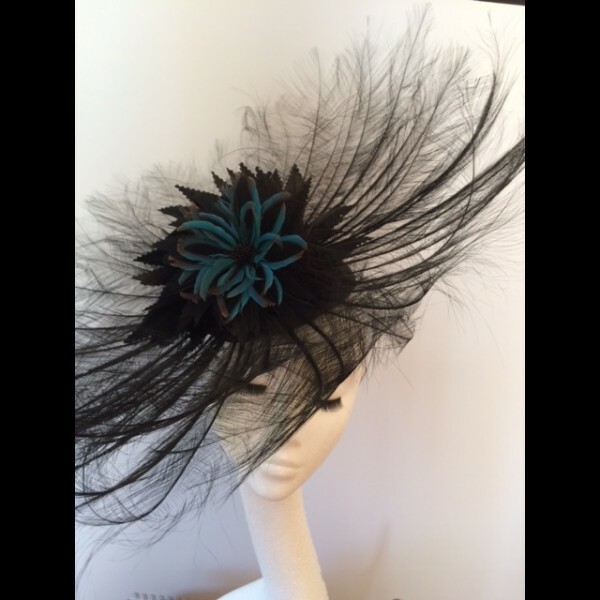 Perched atop a small black sinamay base, a circle of black burnt ostrich feathers with a stunning black and blue feather flower in the centre. Mounted on a narrow metal hairband with a comb fitted for security. The price quoted is the hire price for this beautiful headpiece. 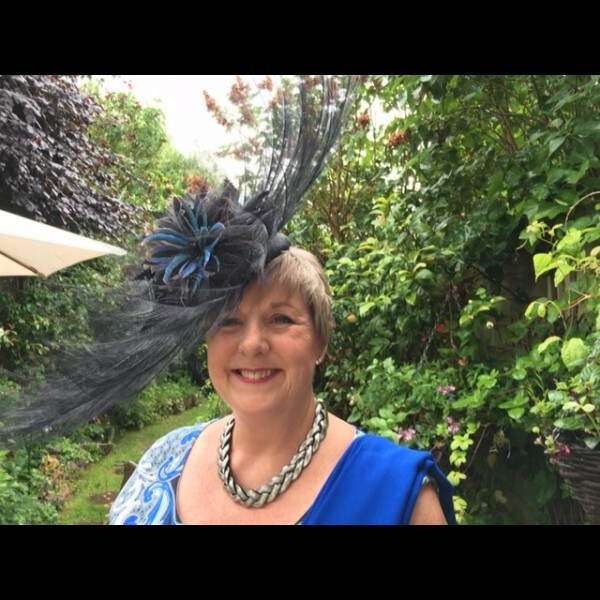 Similar headpieces are available in Navy, Scarlet, Purple, Royal Blue and Cream/Gold.